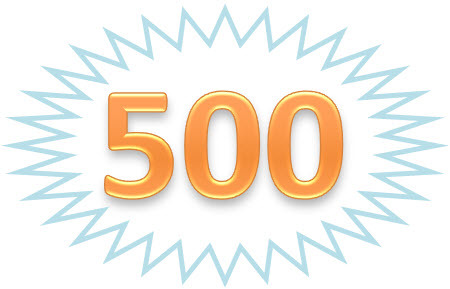 ...did I think that I would reach 500 followers on my blog! When I first started it was more of a way to keep track of all the amazing and beautiful images I came across on the web. I never imagined it would become what it has and possibly be the start of a new career for me. I can't thank each and every one of you enough. I love my readers, followers, commenters and supporters more then you will know! I know we all go through the blogging ups and downs and I really appreciate you all sticking with me. In the beginning all I wanted was for people, besides my family members, to read Everything LEB and my expectations were far exceeded. In the next few weeks I'll be making new goals for my blog and I can't wait for it to grow with everyone! So, thank you, thank you, THANK YOU to everyone!! Congrats to you! 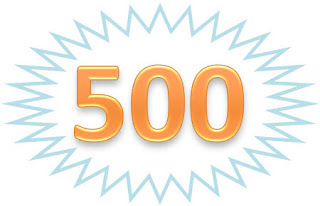 500 is super! Wishing you tons of everything good. Congratulations! This is so very, very exciting! I recently discovered your blog and have loved reading it everyday.. wonderful inspiration! Heres to many, many more great milestones ahead for you! So exciting! You are my blog hero. So exciting! Congrats! The blogosphere is wonderful...just imagine what the future holds! Congratulations. You wouldn't have 500 followers if you didn't provide plenty of good information. A well deserved honor. congrats!!! your blog is great; keep up the good work. Congrats, you've been one of my favorite blogs for a long time and I can't wait to see where it takes you from here!! Congratulations! What a great milestone!! Now, If only I can make it to 200! Congrats!!!! Your blog is wonderful- inspiring, lovely, I feel like I know you!!!! So glad we met in this blog world!!!! Congratulations! What an accomplishment! We love your blog and can see why so many other people do too! I too hope to one day join the 500 club. Congrats! Wait, you know you have over a 1000 subscribers on Google, right? Is that different than readers? Oh, who cares. You are fabulous anyways. And what's up with this interior design stuff. Are you doing it while working or instead of working? Very happy for you--I think this industry is such a great fit for you!